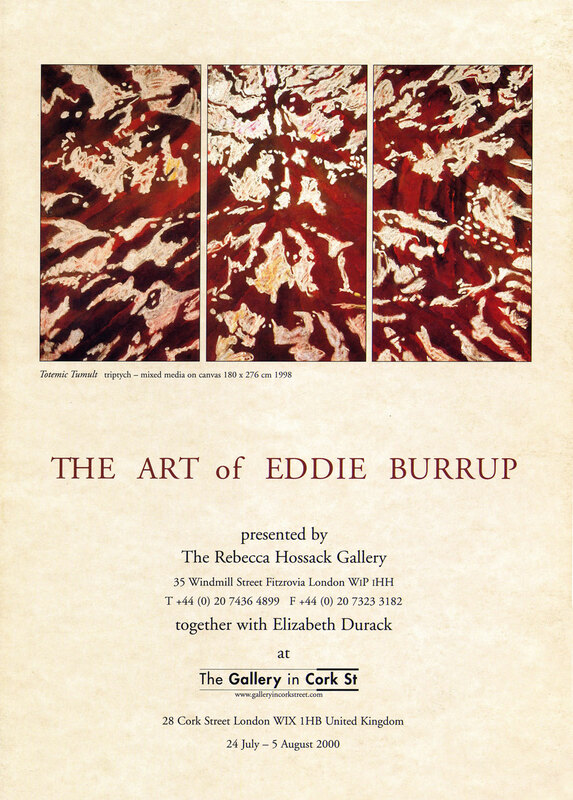 Two solo exhibitions of the Art of Eddie Burrup, held three years apart, provided an opportunity to see a substantial body of work. 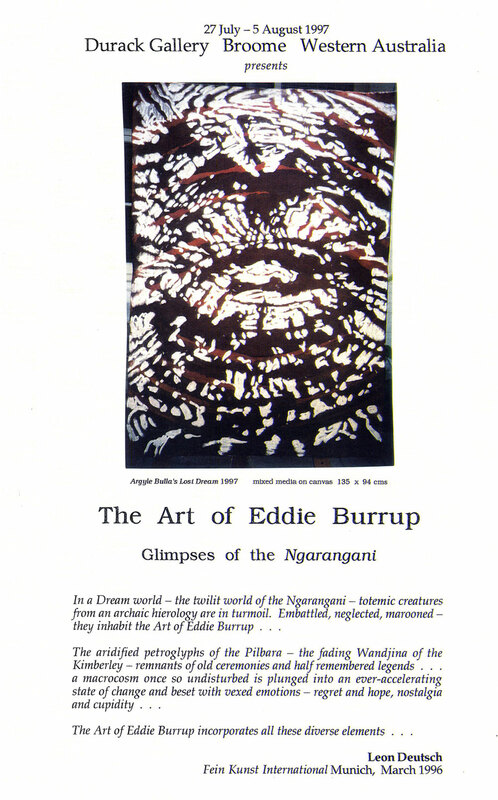 At the first exhibition, ‘The Art of Eddie Burrup ~ Glimpses of the Ngarangani’ held in the Kimberley Fine Art ~ Durack Gallery Broome in July 1997, Elizabeth Durack spoke about the paintings and her role as Eddie Burrup. 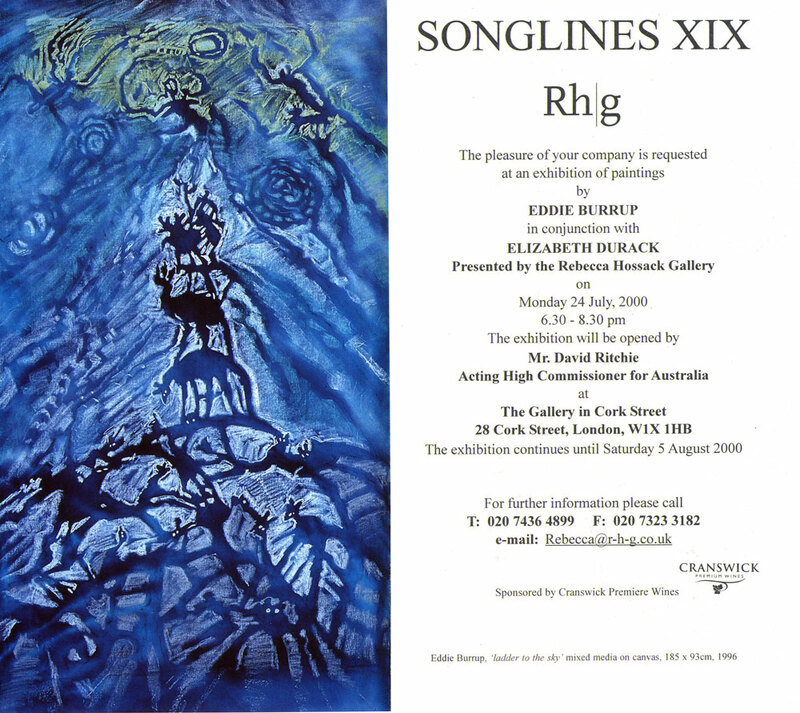 The next solo exhibition was a posthumous one held in London in July 2000 in association with the Rebecca Hossack Gallery. 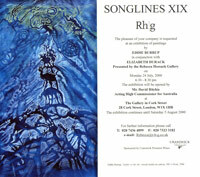 An impression of the show is provided here. 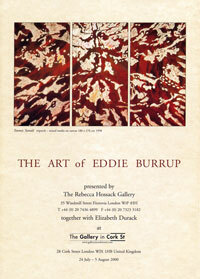 The accompanying brochure, designed by Durack (she had aimed to be at the London show), contains summaries of the history and motivations of the art of both Elizabeth Durack and Eddie Burrup.